Tours are available upon request. Call Pastor Jim Harrison 785.227.4305. 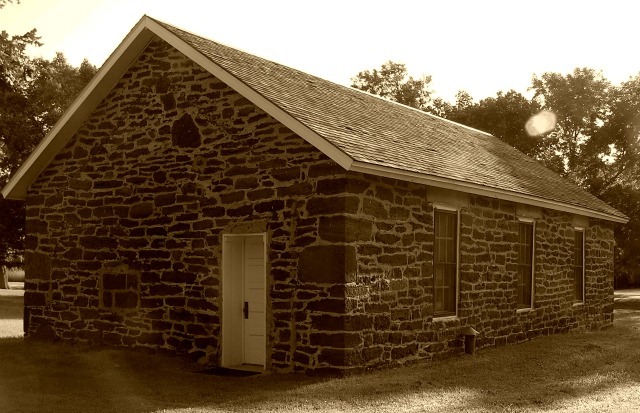 On June 12, 1869 the first worship service was organized by John Rodell and held in the dugout home of J.P. Stromquist. In 1870 this church was built using Dakota sandstone, native to the area. A second church built in 1881 was struck by lighting on June 7, 1926 and burned to the ground. The third and present church was completed and dedicated in 1927. The town Fremont was originally named after explorer John Fremont. The spelling was changed to Freemount when the fine citizens no longer agreed with Fremont's political opinions and wanted to disassociate themselves.